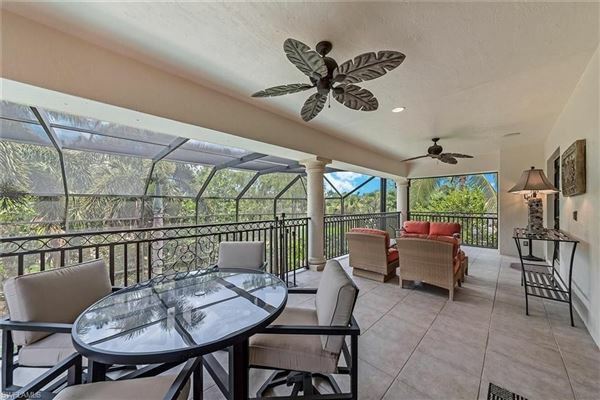 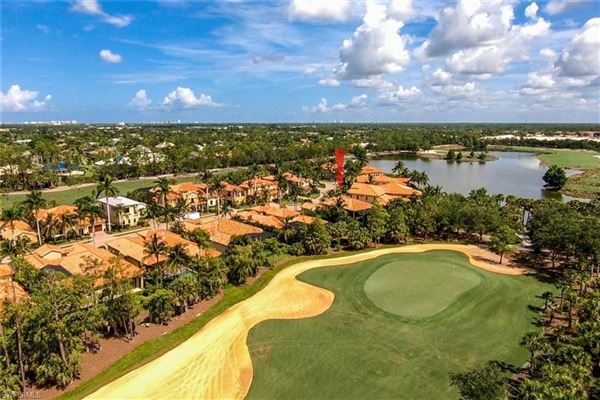 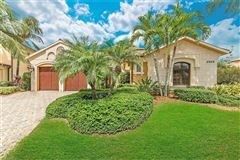 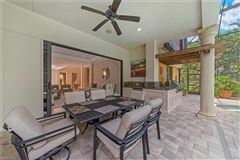 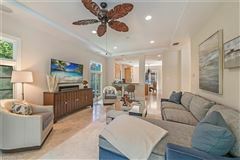 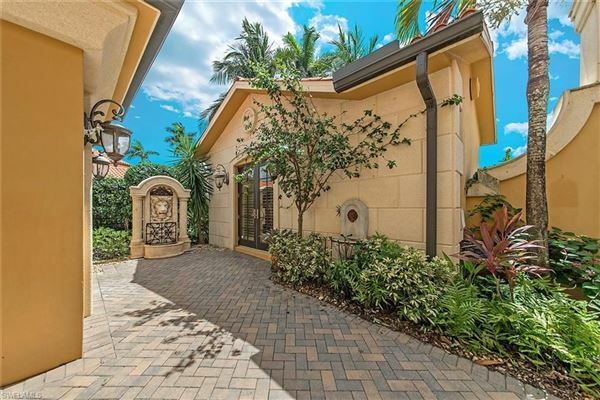 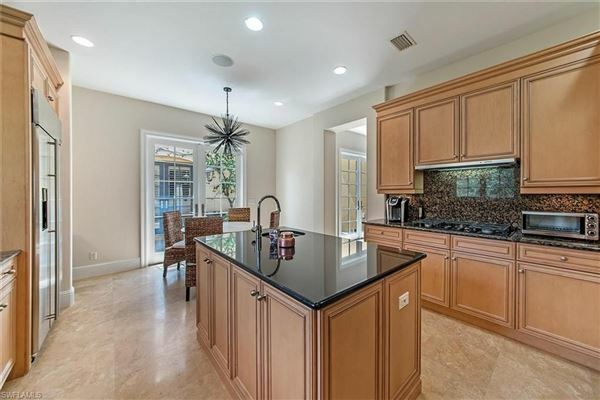 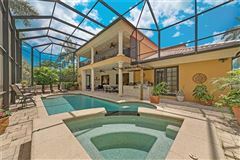 This, four bed plus den villa in the private gated community of Serafina at Tiburon overlooks the 3rd green of Tiburon's Gold Course. 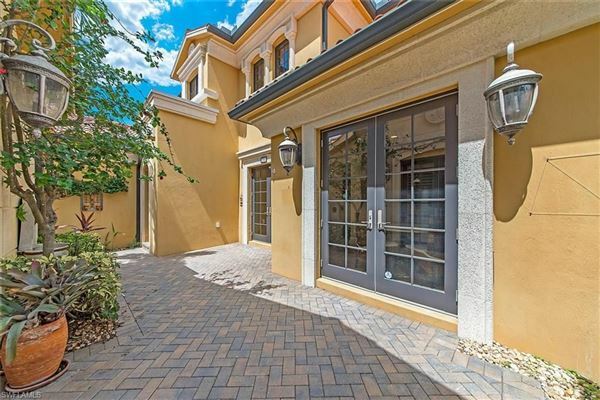 The courtyard with fountain welcomes guests to the covered entry which opens to a grand foyer and sweeping staircase. Inside, the home and décor/furnishings have been redesigned for today’s more open, contemporary lifestyle. 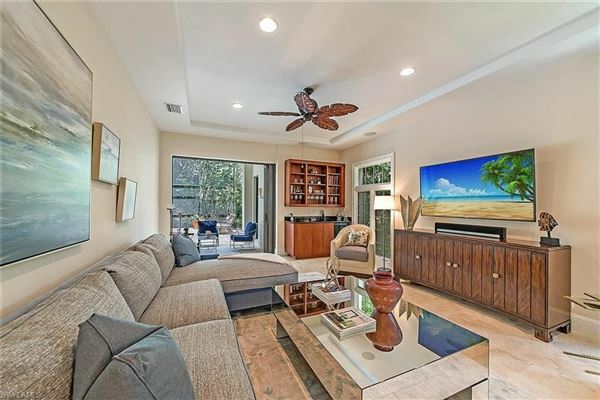 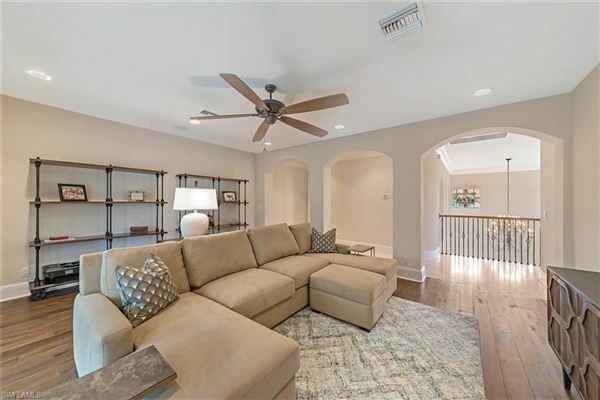 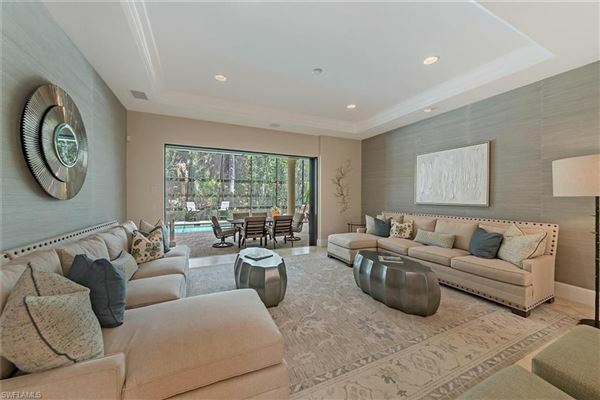 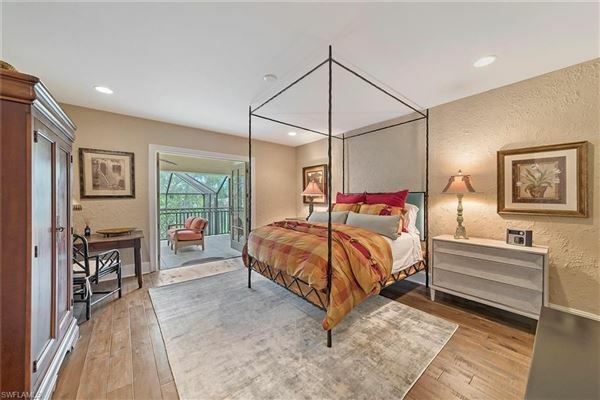 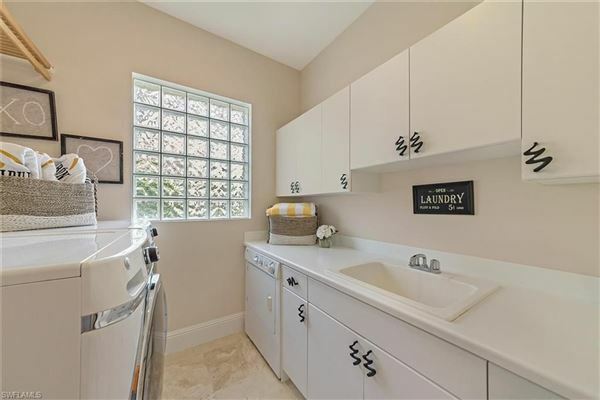 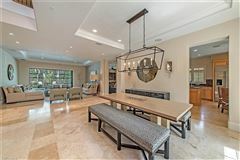 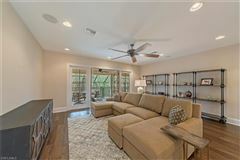 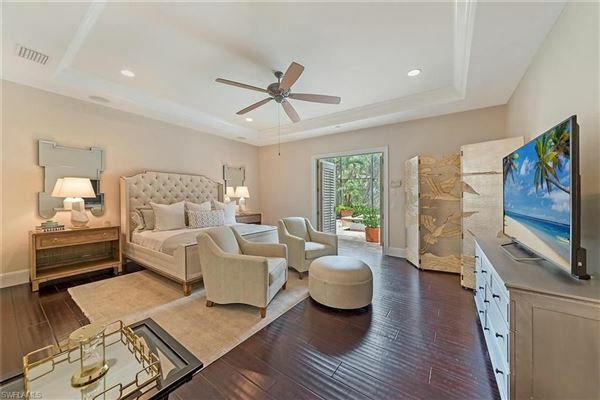 Features include hardwood and marble floors, crown molding, custom cabinetry, lighted niches, fireplace, wet bar, outdoor kitchen, pool with spa and tankless hot water heaters. 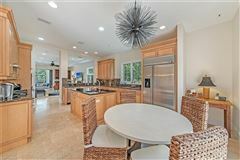 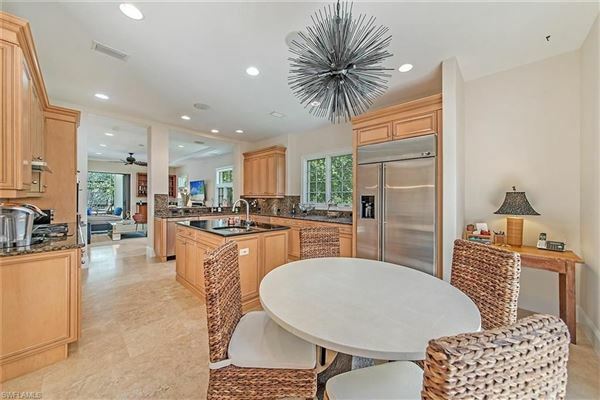 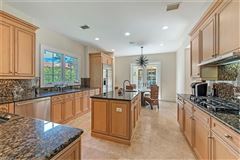 The chef’s kitchen with center island, two dishwashers and breakfast bar adjoins the family room, providing for the perfect gathering area. 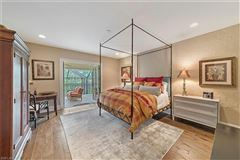 The first-floor master bedroom suite with custom walk-in closet and luxurious bath has French doors leading to the large screened lanai. 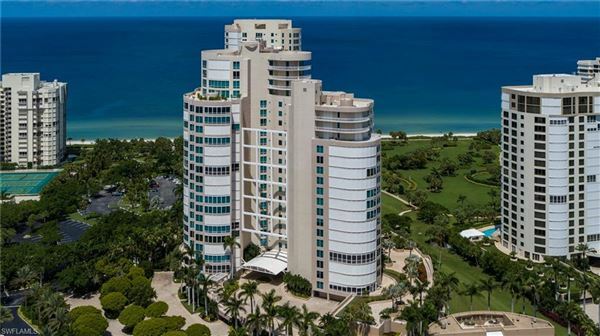 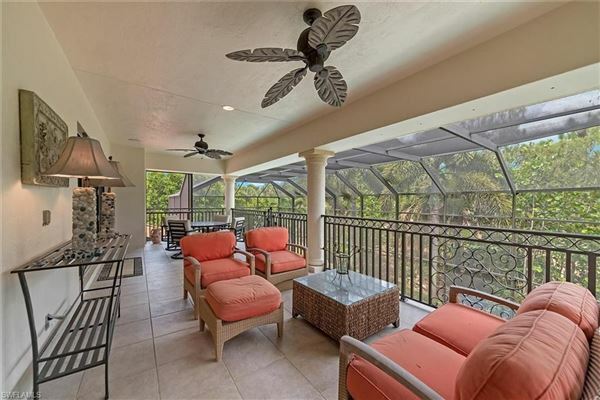 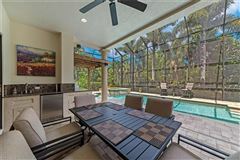 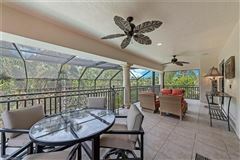 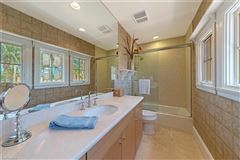 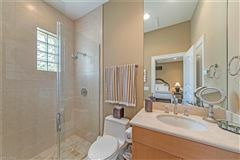 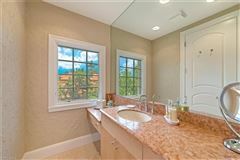 The second floor has two tastefully-decorated en-suite bedrooms, an expansive office/bonus room and a screened balcony overlooking the lanai and golf course. 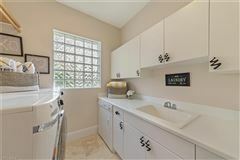 The guest cabana has hardwood floors and an en-suite full bath. 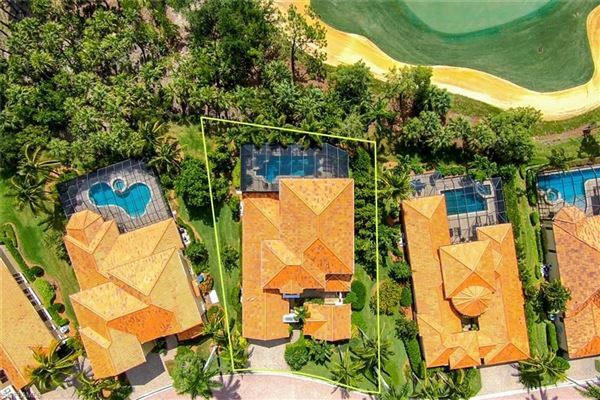 Includes a transferable Tiburon “Signature" membership.